Put down your Lemonade; Queen Bey is serving something much more refreshing this year. The Beyhive – world over – collectively rejoiced when Netflix dropped the trailer titled “Homecoming: A film by Beyoncé”. Set to release on the 17th of April, the trailer showcases a montage of sequences from Beyoncé’s 2018 Coachella performance. 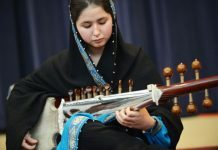 Scheduled to perform in 2017, she delayed her performance for a year, as she was pregnant with her twins, Rumi and Cater, at the time. Performed at the Empire Polo Club in California, her 2018 show was an ode to black culture and “traced a lineage of Southern black musical traditions from New Orleans second line marched to Houston’s chopped-and-screwed hip-hop”, states Jon Caramanica of The New York Times. The performance in itself, with all its flare and flamboyance, was the stuff of legend. With the Netflix movie, however, Beyoncé will write herself into history. The documentary will provide an “intimate, in-depth look” at the concert, revealing “the emotional road from creative concept to a cultural movement,” Netflix said. The Homecoming trailer featured shots of backstage rehearsals, Beyoncé with Jay Z and her twins, as well as quotes of critical acclaim interspersed with that of the performance. Starting with a powerful and soul-stirring voiceover saying, “I want to be a representative of my race; the human race,” and the musical tempo rapidly escalating by the frame, the trailer is truly awe-inspiring. Known for her secrecy about her projects up until their release, Beyoncé along with Netflix takes the same approach when it comes to Homecoming. 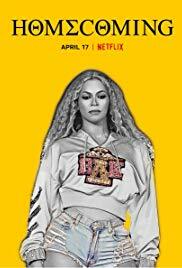 The cryptic tweet by Netflix about the project and the trailer gives close to little away, yet still manages to create the deserved buzz about Queen Bey and the much-anticipated release of her film on the 17th of this month.